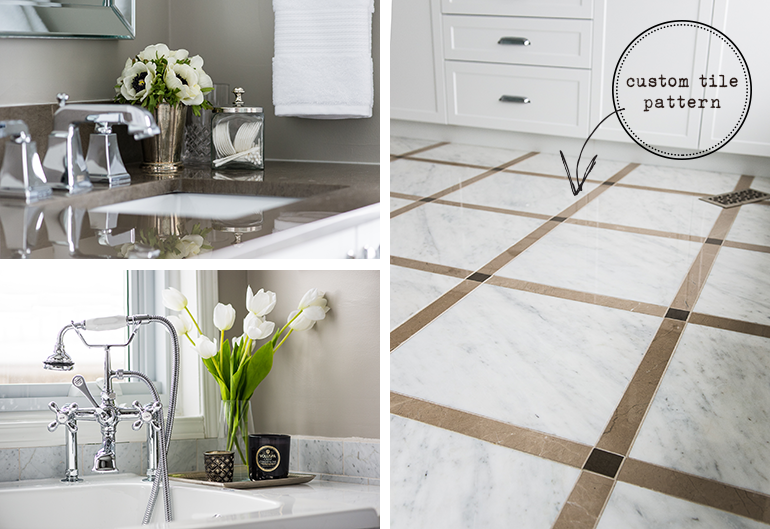 A hundred square foot master bath gets a luxurious makeover! 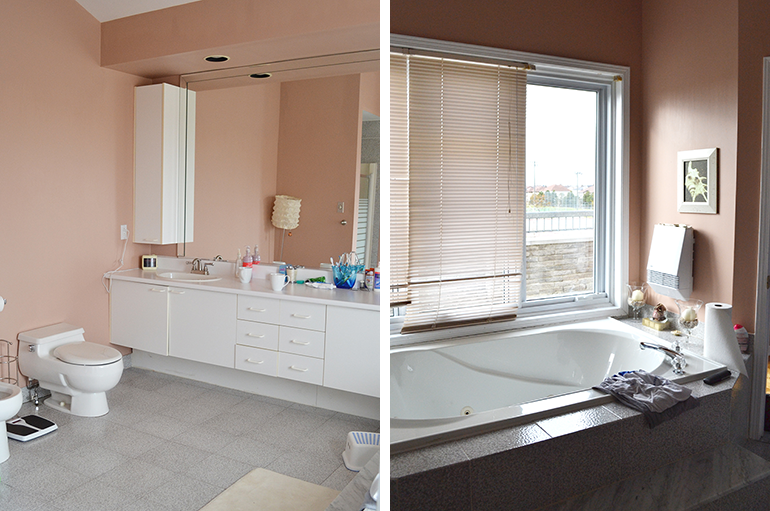 Salmon walls, awkward tub, tiny shower and a serious lack of storage…this spacious and light filled ensuite master bathroom was deserving of an update. The new spacious shower has room for two! 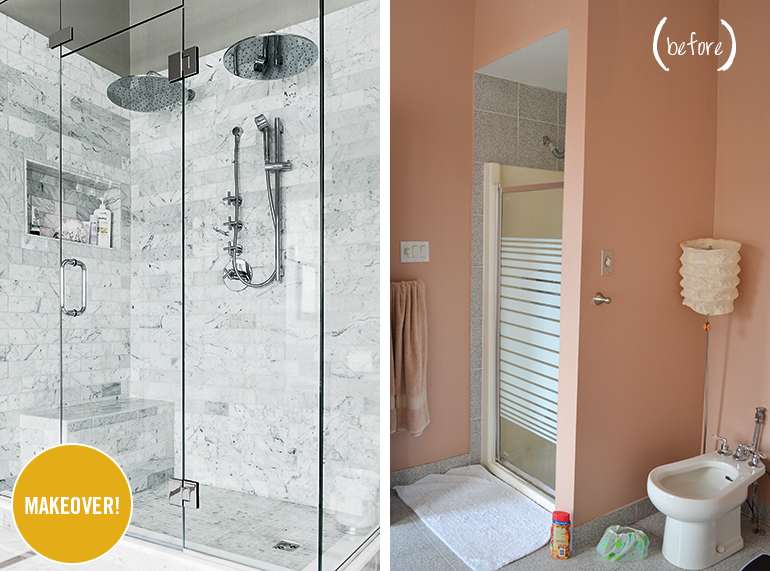 Complete with dual rain shower heads, an alcove, and a relaxing bench, showering will never be the same! 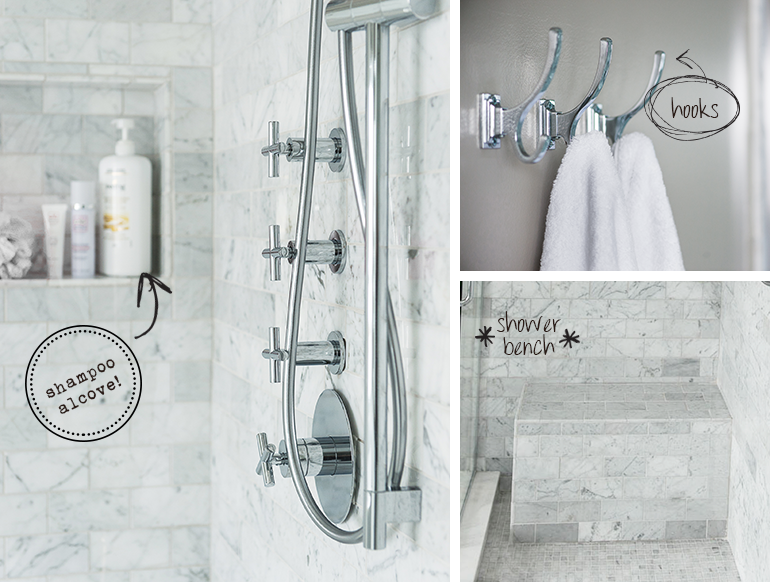 It’a all in the details: Chrome hardware, timeless Carrera marble, oversized 16″ rain shower heads and elegant cross handles complete the look of the shower. 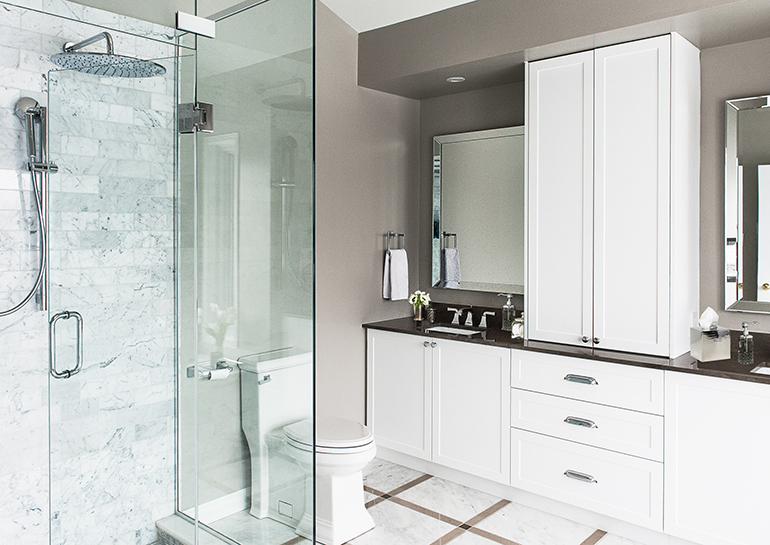 The made-to-measure shaker style vanity is complete with two sinks, and tons of practical storage. 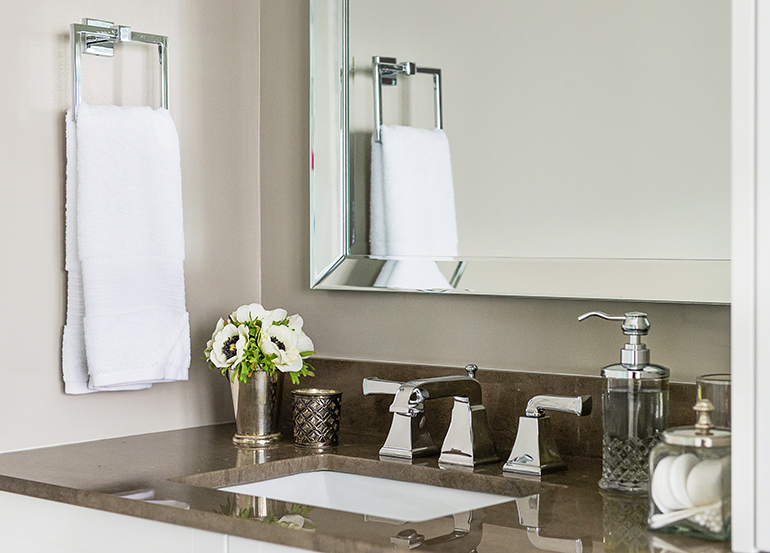 The beveled mirror, a crystal tumbler and soap dispenser along with a few accessories complete the look. The protruding original tub was replaced by a sleek deep-soaker built in bathtub, perfect for a relaxing spa-like experience. 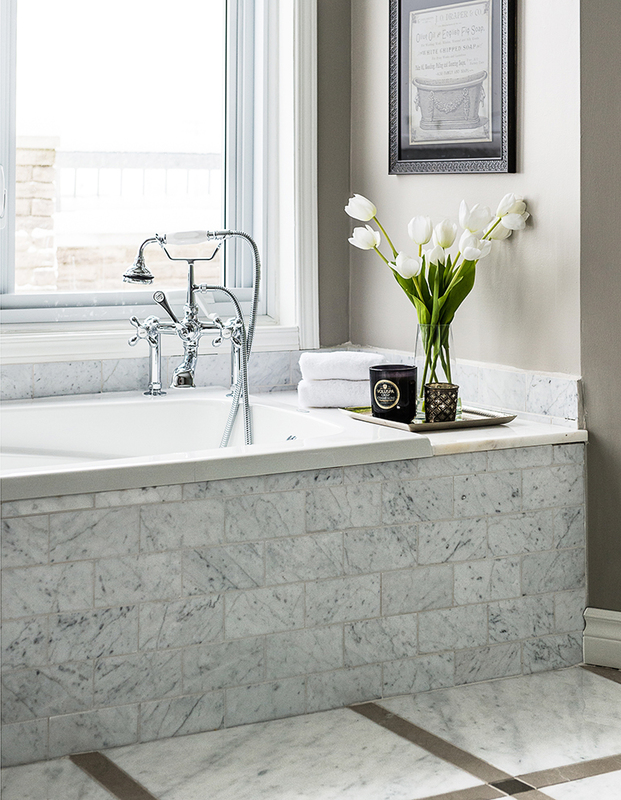 The vintage style roman faucet adds a special touch. Delicate accessories and pretty flowers pull the look together and add a sense of luxury.